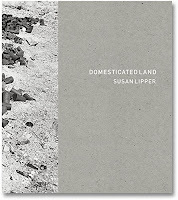 Books 2018 Favorite Photobooks — Day Four Day 4 of our 14-day series featuring the Favorite Photobooks of 2018! This year we asked a number of luminaries from the photobook world to select their favorite photobook of the year. The list will continue to grow over the next two weeks, so check back each day for a new group of favorite books!" 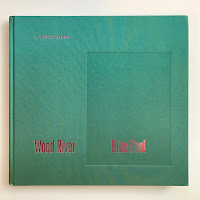 This year we are celebrating the 25th anniversary of our renowned listing of the year's best photobooks. To mark this milestone, we've decided to do something a bit different. We've asked 88 internationally recognized luminaries from the photobook world to choose their favorite photobook of the year. Their favorite book could be unforgettable for any number of reasons but the chosen books affected our selectors on a very personal level. These books led each of our contributors to conclude, "If there's one book not to miss this year, it would be this!" Each day for the following two weeks we will publish additional titles selected by our distinguished group of photobook lovers. Subscribe to PhotoBookDaily to get our email announcements in advance! Check back daily to see a new group of favorite books! Photographs by Jo Ann Walters. Text by Laura Wexler. "Two books in one, these individual volumes could easily exist on their own, but form a symbiotic relationship, strengthening and enriching each other. Good work often takes a long time to find a proper home; rarely is it presented in such a powerful and elegant package." 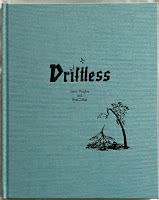 "In the face of current events and recent news cycles, Driftless (TBW Books) offers levity and hope in the verbal meanderings of Brad Zellar (“days like music sucked from a car window dissolved like a dream”) while laying straight the tenuous and shifting terrain photographer Jason Vaughn inhabits." "The intensity of the sun feels like it was burnt through the exposures straight onto the luscious, tri-tone printed pages of the book to reveal crisp desert vistas full of rich details and subtle layers that reward repeated readings. This is not your forefathers desert."